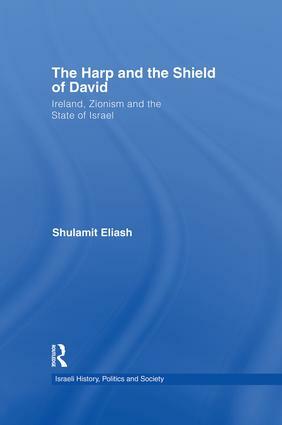 Eliash examines the relationship between Ireland and the Zionist movement, and the state of Israel from the context of Palestine’s partition and the delay in Ireland’s recognition of the State of Israel until 1963. Analyzing the Irish attitude to the partition of Palestine through an analogy with that of Ireland, this engaging text compares both the Irish and Zionist views on the partition plans of 1937 and 1947. The study underscores the contrast between Ireland’s separatist policy and its sparse diplomatic connections on the one hand, and Israel’s global diplomacy on the other, and discusses how this gap contributed to Ireland’s delay in recognizing the State of Israel. Shedding light on Irish and Israeli foreign policy, the book also calls into question the ability of small states to form independent foreign policy, the Vatican’s influence on devout Catholic states like Ireland, and the role of Irish and Jewish diasporas in the US. Shulamit Eliash is a senior lecturer at the History Department of Bar Ilan University, Israel.